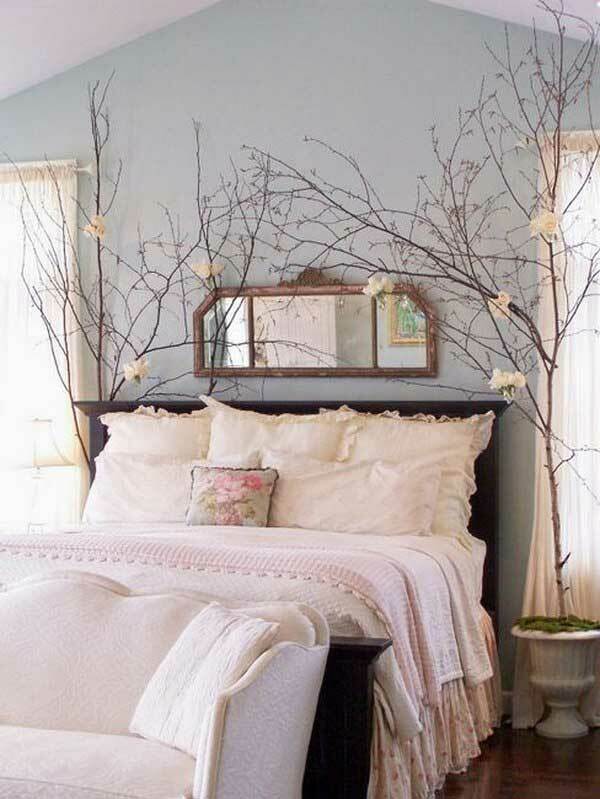 An inexpensive and easy way to add some rustic touches to your home is to decorate with branches. Because of the different sizes and types of branches available, you can get a myriad of different looks. It also depends a lot on the rest of the decor as to how the ultimate feel of the branches in the space will be. 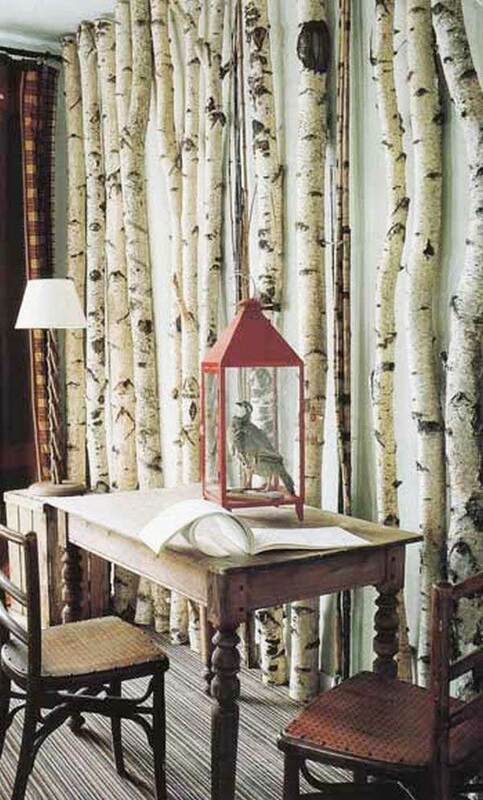 For instance, white birch branches can look either super chic or very rustic depending on what they are placed with. I have put together a tour of spaces, that have been decorated with branches, to show the wide variety of looks that you can get with just simple branches. Sit back, enjoy and be inspired! These branch centerpieces, flanking each side of the bed, add a nice flowing whimsical style that fills up the space nicely. It doesn’t get much easier than sticking a dried tree into a vase! 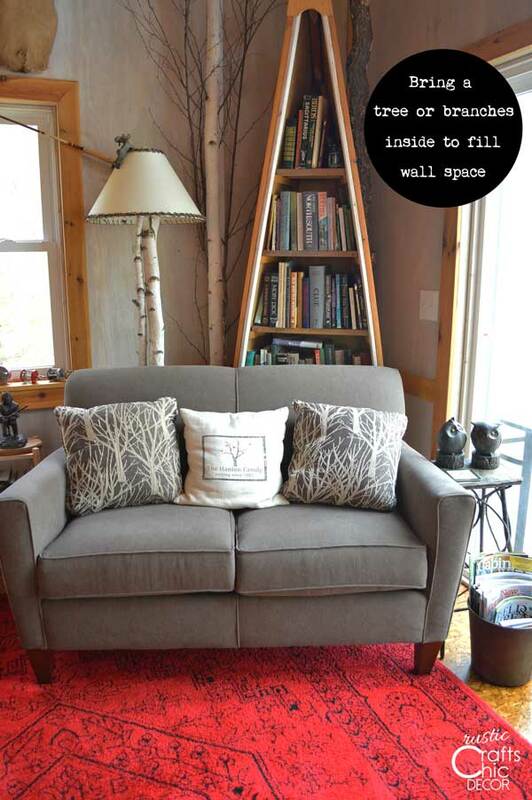 This birch “wall” adds a lot of nice rustic texture to the space. Birch Chandelier by Brit & Co.
Birch chandelier by Brit and co. 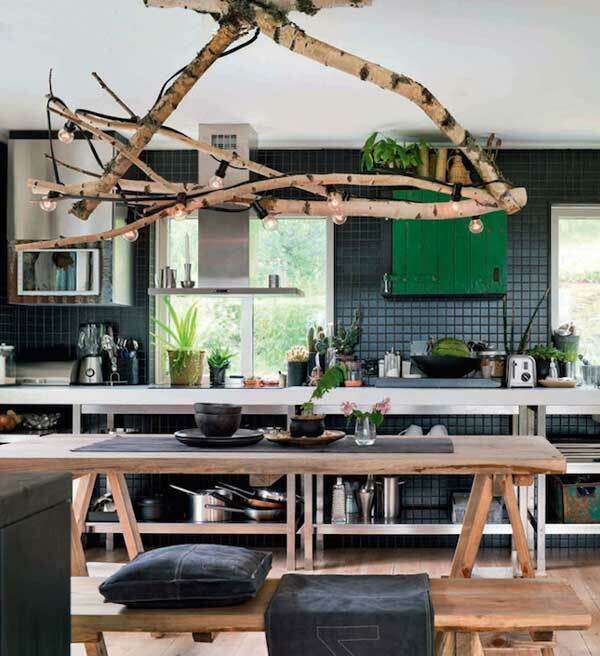 Instead of spending a lot of money on large light fixtures, to add a lot of impact, making a hanging out of branches is a great solution that adds a ton of interest. 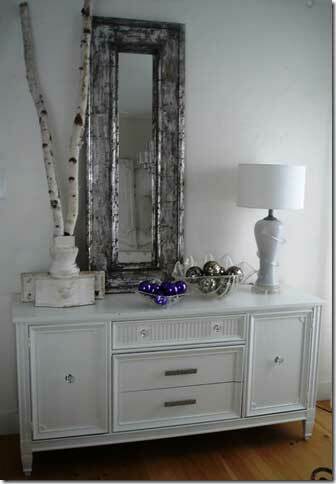 This shabby chic dresser vignette is full of style with all of the different textures. The birch is a perfect addition. 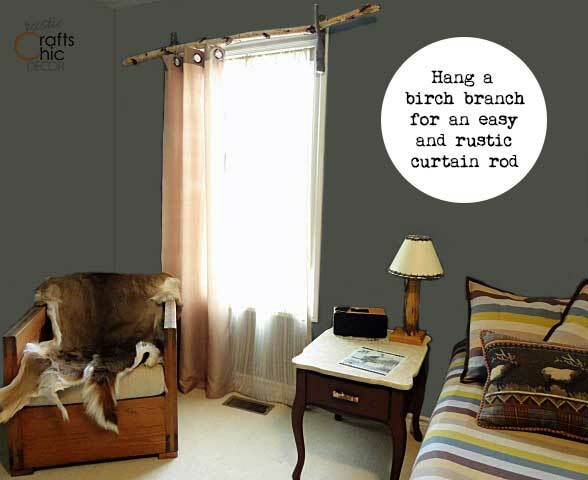 I like to use branches as curtain rods for an inexpensive and interesting look. Again, depending on the size and type of branch you use, you can get varying looks. 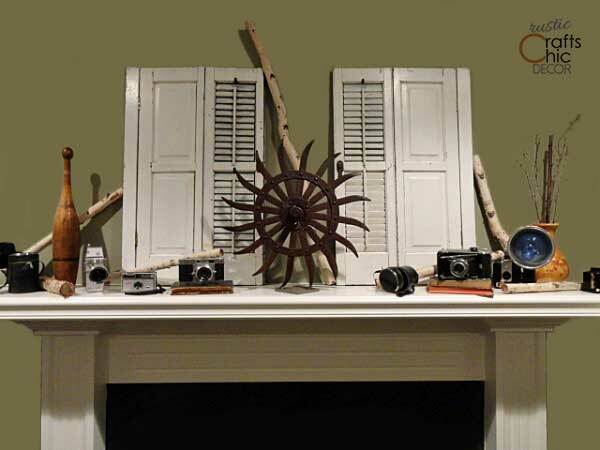 Branches are also a good filler in mantel displays. As you can see, the branches on this mantel work to tie in the random decor pieces. This tree was simply put in a heavy vase and placed behind the sofa to add a rustic touch. Because we also have the lamp made from birch, it ties in pretty well. 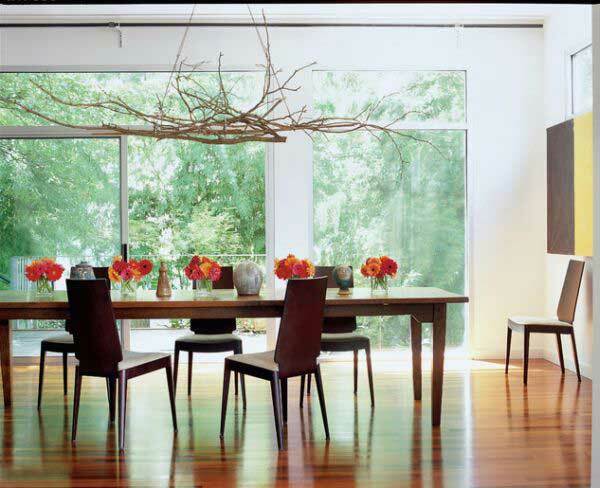 How have you used branches to decorate your space?